Although a venue has not been confirmed for UFC 145, it hasn’t stopped the planet’s premier MMA promotion from announcing another bout to the roster. 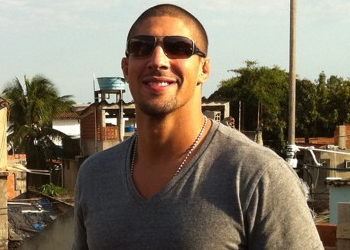 Heavyweights Brendan Schaub (Pictured) and Ben Rothwell will battle in Montreal on March 24th. Schaub saw his four-fight winning streak come to an abrupt halt when he was unexpectedly knocked out by Antonio Rodrigo Nogueria at UFC 134 in Brazil. Rothwell entered the big leagues with a respectable 30-6 record in December 2008, but has only managed to post one win in his first three UFC outings. According to the trusty rumor mill, the Bell Centre in Montreal, Quebec, Canada is the front-runner to host the show.